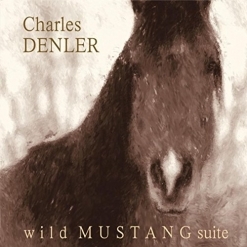 Charles Denler’s Wild Mustang Suite is a six-movement orchestral suite followed by seven solo piano variations. 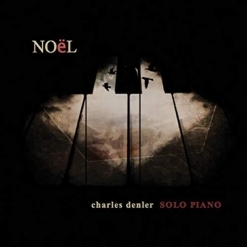 With the assistance of the City of Prague Philharmonic, Denler has created a magical work of art that celebrates the “spirit born of every living thing, longing to be free.” While some of the orchestrated Suite tends to be bolder and more dramatic, the piano variations are softer and more delicate. The piano is also part of the orchestral music, sometimes in the lead, sometimes simply one of the instruments in the larger ensemble. Even though the album was released less than a month ago, it has already received a Gold Medal from Global Music Awards, the first of many honors, I’m sure. 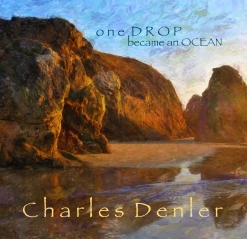 Denler has earned two Emmy Awards (among other awards) for his work in television music and countless other awards for film work, commercials, and classical composition. Wild Mustang Suite is his sixth album to date. Wild Mustang Suite begins with “Fanfare: Racing By Moonlight,” which really brings this quote from the liner notes to life: “Imagine wild mustangs gathering beneath a moonlit sky for an epic race… running along rugged mountain paths and deep canyons filled with meadows aglow by starlight.” It begins with a short, energetic piano introduction followed by a big brass fanfare. 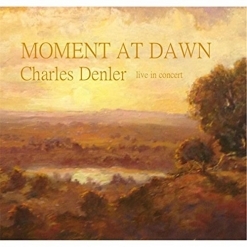 The main theme alternates between soothing strings and the highly energized full orchestra. There is something very American about this piece and its musical depiction of freedom. “All Creation Breathes” is much quieter and more poignant with the piano playing in the upper registers of the piano backed by shimmering strings and gentle orchestration. “Beneath Starry Skies” is very short (1:17), but paints a beautiful, atmospheric picture of a peaceful world illuminated by the stars and moon. “For a Spirit To Be Free” and “In Every Living Thing” are gentle meditations that express hope and grace as well as the beauty of these magnificent animals. “Finale: Thundering Hooves” is a scene out of the “wild west” with mustangs running, triumphant and free - soul-stirring! “The Yearling” is the first of the piano variations. Very tender and simple, it seems to express the magic of innocence and discovery - a favorite. “Like the Wind” is a gentle, swirling dance that often sparkles while in constant motion. “Longing To Be Free” is heartfelt, soulful, and very poignant - almost prayerful. “Endless Shores” beautifully describes several states and moods of the ocean, from very calm and peaceful to sunlight dancing on the water to a somewhat more energetic ebb and flow. “Of Starry Skies” is tranquility set to music - very open and spare - and brings this excellent album to a quiet close. Wild Mustang Suite is contemporary classical music that is both accessible and emotionally stirring. It is available from www.PurplePiano.com, Amazon, iTunes and CD Baby. Highly recommended!